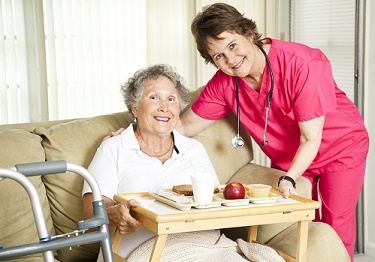 Typically, the primary reason for moving into a nursing or retirement residence is due to concern for the safety of a loved one. Perhaps mom has had a fall coming down the stairs of the family home where she has lived for forty years. Maybe dad has left the stove on one too many times. The infrastructure of a retirement facility is seen as a safety umbrella, and a common reason to consider a retirement residence or assisted living facility. For some, leaving the family home is just not an option, but something must be done to ensure mom and dad’s health and safety. Changing the home environment to better suit your parents’ needs will probably be necessary. Dishwasher – can it be raised so that bending down is not required? Bedrooms – is there a full-sized bedroom on the main floor, can you easily convert part of the living room? Cupboards – how high and how deep? This list might seem daunting but if you take steps over a period of time it will help balance the cost and amount of change. The key is to start talking about it before a decision needs to be made. Don’t worry if you lack the skills to figure this all out on your own. There are great companies out there that can help. In Toronto, a company called Reliable Living has gained an excellent reputation with their focus on “Barrier Free Design.” One of our clients has worked with Reliable Living and she raved about their service and results. It might make sense to downsize into a smaller one-story bungalow or a condominium. Retrofitting bathrooms and doorway widths may still be necessary for a new smaller house or condominium. Downsizing in any case can be an arduous task, but Laurie Bell from Moving Seniors with a Smile can help. Laurie gave us some tips for senior downsizing here. It is important for seniors and their families to sit down and do a simple cost analysis. If comparing the costs of staying at home versus moving to a retirement residence or assisted living facility, it is best to visit or cost out three facilities to get a good idea of monthly expenditure. Your monthly cost of moving out of the house could range anywhere from $3000 to $10,000 per month (or more if you are a couple). If you were to pay $4500 per month in a retirement residence, the total yearly cost would be $54,000. How many safety and retrofit projects could be completed for half that? From the Ontario Government website (http://www.ontario.ca/seniors/healthy-homes-renovation-tax-credit): “As a senior 65 years or older in Ontario, you could qualify for a tax credit to help with the cost of making your home safer and more accessible. The Healthy Homes Renovation Tax Credit is a permanent, refundable personal income tax credit for seniors and family members who live with them. If you qualify, you can claim up to $10,000 worth of eligible home improvements on your tax return. The amount of money you get back for these expenses is calculated as 15 per cent of the eligible expenses you claim. 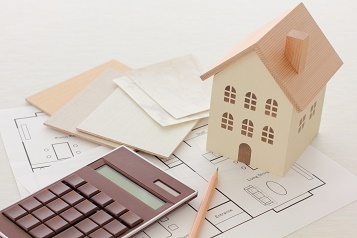 For example, if you spend and then claim $10,000 worth of eligible expenses, you could get $1,500 back.” The Healthy Homes Renovation Tax Credit can help with the costs of improving safety and accessibility in your home. For more information about the Healthy Homes Renovation Tax Credit, call: 1-866-ONT-TAXS (668-8297). Home renovations for safety and accessibility can also be deducted as medical expenses on your income tax return. Please consult an accountant to decide which tax benefit is best for you. 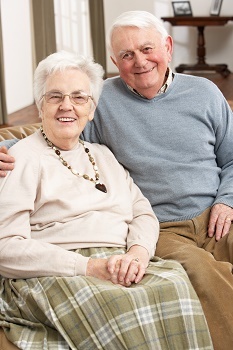 If your parents are thinking about aging in place, ensuring their comfort and safety is priority number one. Retrofitting their home and working with a home health care company like Retire-At-Home Services will ensure mom and dad are living life to the fullest. Read more about our assisted living at home service.